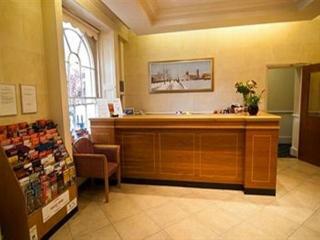 This city hotel is situated at the vibrant heart of London. The hotel is located in close proximity to many of the city's main attractions including Madame Tussaud's, London Zoo and the renowned Harrods department store. Oxford Street and the beautiful Hyde Park are also situated close by. Guests will find themselves in the midst of the entertainment with a profusion of pubs, restaurants, shopping opportunities and a lively nightlife scene available in the nearby area. The hotel enjoys an attractive architectural style allowing it to blend effortlessly into its cosmopolitan surroundings. The guest rooms are beautifully appointed, offering a relaxing, soothing environment in which to escape the bustle of the city which lies just outside. A new generation hotel, this establishment is ideal for both business and leisure guests. Everyone will appreciate the room mixtures that include modern decor with ergonomic comfort and high-end facilities. Those who need to stay on top of their workload will find plenty of space where to set-up a home office and most importantly the soundproofed rooms are true sanctuaries of quietness. There are also modern conference facilities in case they need a place for meetings of seminars. Guests looking for some entertainment can watch a movie on the large-screen TV or visit the heated indoor pool for a leisurely swim. For a little extra pampering there is also a sauna and a steam room, while the fitness enthusiasts can check the gym. 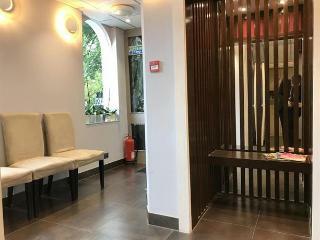 Located in the Paddington Central area of London, the property is easily accessible by road and lies just a few minutes' walk from Paddington Station. Located in the heart of London, the Hilton London Metropole combines a fantastic location with comfortable guest rooms and first-class facilities. This hotel offers a true home away from home experience for your family with a wide variety of amenities to cater to your needs. With over 1,059 bedrooms including family rooms and suites, designed with comfort and convenience in mind, the Metropole provides the perfect spot for you to discover London's most iconic attractions. Choose from a variety of different room types and amenities with panoramic views of London, and pick the space that's right for you. For both your fitness and convenience, this hotel offers a fully equipped fitness centre featuring a 41-foot indoor oxygenated pool, perfect for your little ones to enjoy, as well as a sauna and a steam room for you to relax and unwind in the heart of the bustling capital.Hilton London Metropole also offers a fantastic choice of stylish bars and restaurants, from sampling a modern Mediterranean influenced cuisine in Fiamma to indulging in international cuisine and sipping on a wide selection of signature cocktails at EDG or grabbing a coffee to go at Herb n' Kitchen, you will be left spoilt for choice during your stay. Alongside their incredible bedrooms and facilities, Hilton London Metropole also boasts superb transportation links, just a two minute walk from Edgware Road underground station serving the Bakerloo, Circle, District and Hammersmith & City lines. Discover London's most popular attractions only a 10 minute walk away, including Oxford Street shopping, Marble Arch and Hyde Park. 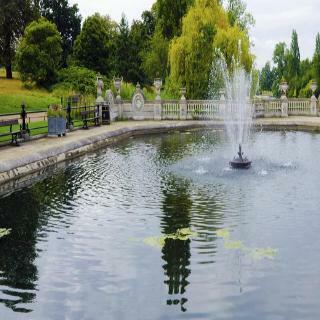 Reach both Regent's Park and ZSL London Zoo via a 5-minute underground journey. Paddington Station is only a 7 minute walk away and offers easy access to Notting Hill and High Street Kensington. This hotel is just 15 minutes away from Heathrow Airport via the Heathrow express and 10 minutes from the Eurostar at St Pancras International. 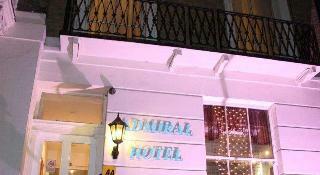 Admiral Hotel is 500 m from Paddington Station, Hyde Park is a 5-minute walk, whilst the Victoria & Albert and Science Museums are less than 2.4 km away. Direct trains to Heathrow Airport leave regularly from Paddington. It has artistically decorated bedrooms with free Wi-Fi and a restaurant. The open-plan restaurant/bar areas serves traditional dishes and cooked English breakfasts each morning. 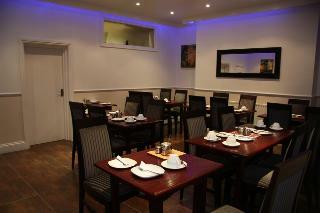 There are plenty of excellent restaurants surrounding the hotel. 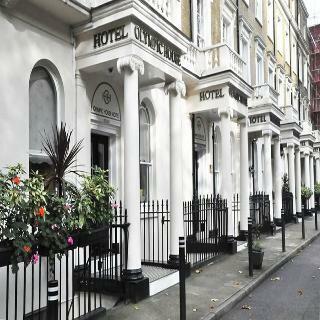 This apartment hotel is situated on Inverness Terrace, on the north side of Hyde Park in London. The establishment is located just a 5 minutes' walking distance from the Queensway and Bayswater underground stations, enjoying ease of access to Oxford Street and Covent Garden. Guests will find a number of bars, pubs, restaurants and shops in the vicinity, while Notting Hill can be found just a 15 minutes' walking distance away. London Heathrow and Gatwick airports are within driving distance of this hotel. 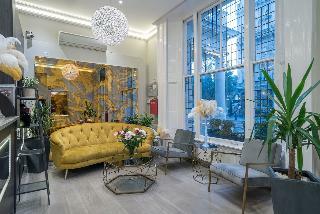 The hotel comprises stylishly-decorated apartments, which offer contemporary accommodation in a prestigious location. The apartments are well equipped with up-to-date conveniences. Guests are sure to enjoy a memorable stay at this wonderful establishment.